Following the footsteps of Celia (Fig Jam and Lime Cordial) who started this party now hosted by our friend Maureen (The Orgasmic Chef), I invite you for a small virtual tour of our kitchen. Maureen is taking a small break to recover from surgery, I know everyone is looking forward to having her back to the blogosphere next month. A warm hug going her way…. Well, this was in our kitchen a while ago, it’s gone. 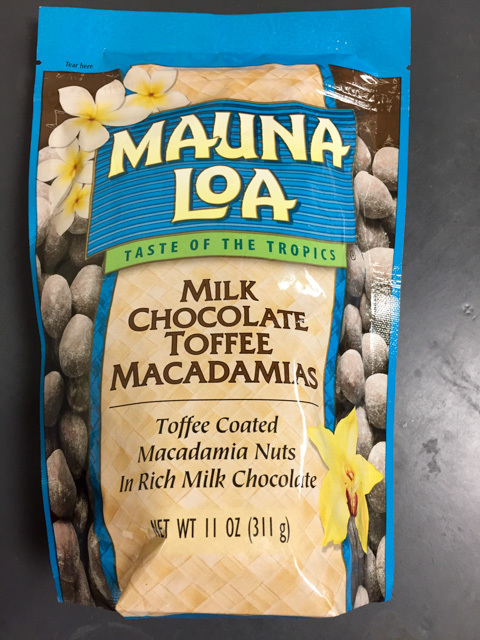 When we were in Hawaii we grabbed a bag and were hopelessly hooked. It is basically impossible to eat just eight. I am not too surprised that amazon has several kinds for sale, although it’s hard to justify the price they ask for it. Take a look with a click here. You might remember I used another type of Not Ketchup in my last post, the Cherry Chipotle. 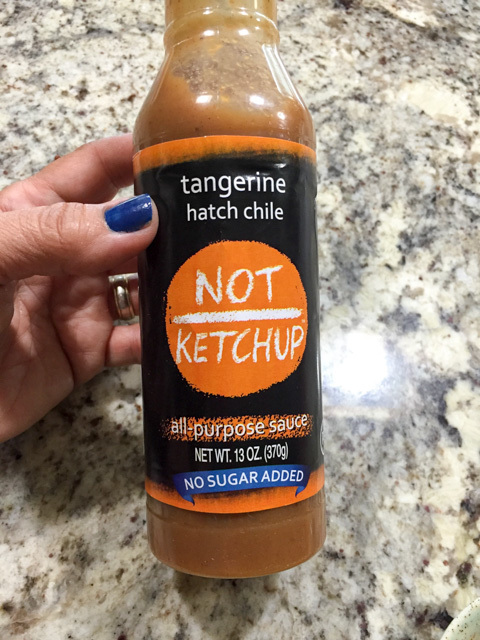 This one, Tangerine Hatch Chile is my favorite. Love it, love it, love it! I used it in turkey miniloaves, I smeared it on top of hamburgers, grilled pork tenderloin, it’s a fantastic product. Very low in carbs, just the right amount of spice. Go visit Erika’s blog to see all the different types she came up with. We got this tip from our friend Virginia. 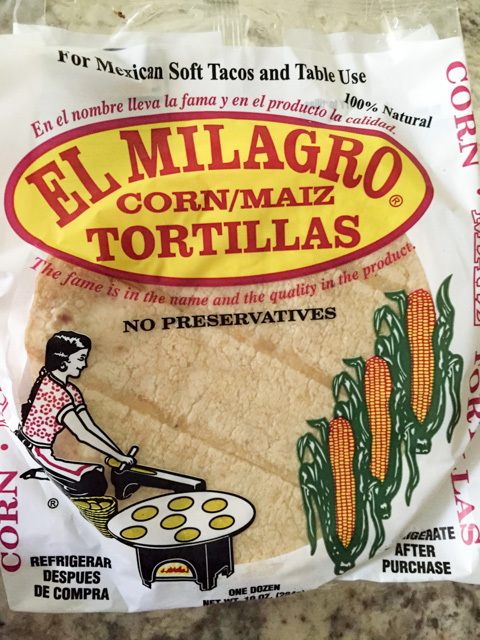 Instead of buying tortillas from the grocery store, she goes to a Mexican restaurant in town to grab bags of this brand. The difference in quality is amazing indeed! If you happen to find this brand where you live, give it a try. Intense corn flavor, perfect texture. Unless you are going to make them from scratch, you cannot find a better option. We buy two or three bags at a time, they also freeze pretty well. 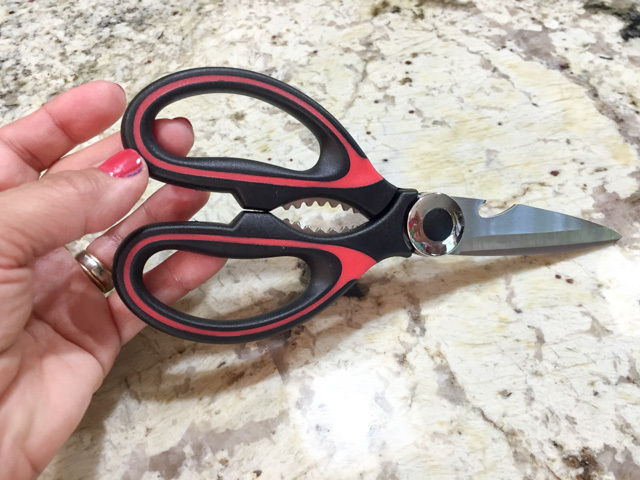 A new pair of scissors. I finally got tired of struggling with scissors that refuse to cut through plastic bags, or are too flimsy. These work great and look pretty good too. I’m a happy camper! 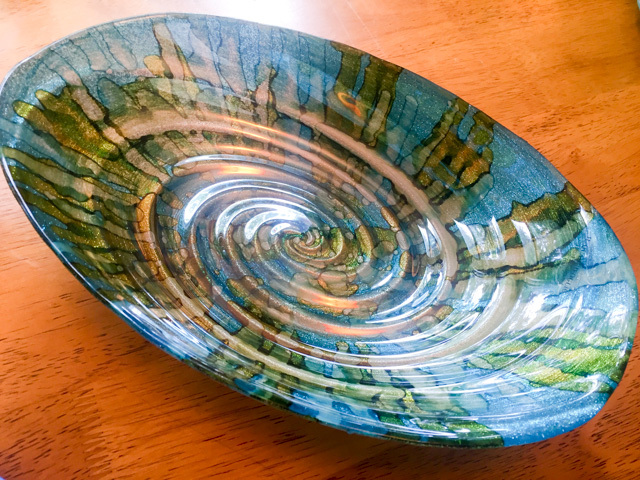 A new bowl… I got mesmerized by its color and shape. It was on sale at Marshalls, and I could not resist bringing it home. A new ingredient to play with. 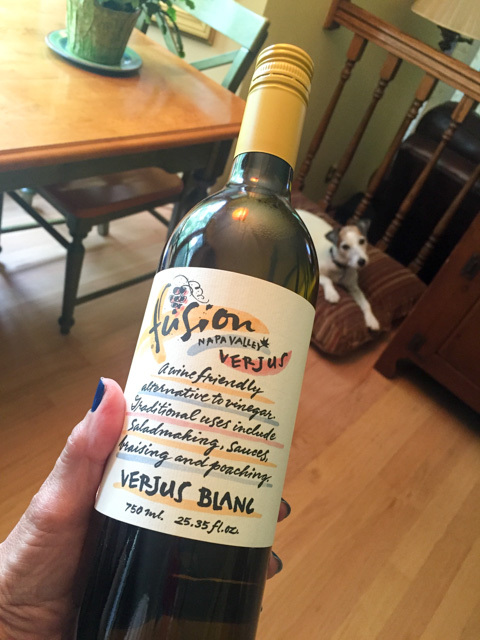 I’ve flirted with Verjus for years, but finally reading a post by my friend Elaine over at foodbod, I caved in and got some. Stay tuned for my adventures with it… Buck seems quite intrigued… Is that something I would like? Roasted beets, made in our toaster oven early on a Saturday morning… since Phil doesn’t care for beets that much, they were mine, all mine… This batch lasted for several days, and I enjoyed over salads, mixed with a stir-fry of ground chicken, they add a tone of sweetness with their earthy flavor. Love them! Dan, my sourdough starter, got over-enthusiastic and wanted to take over the countertop! I guess warmer temperatures will do that. I put it to good use, there will be a post very soon about a certain sourdough bread… Stay tuned. 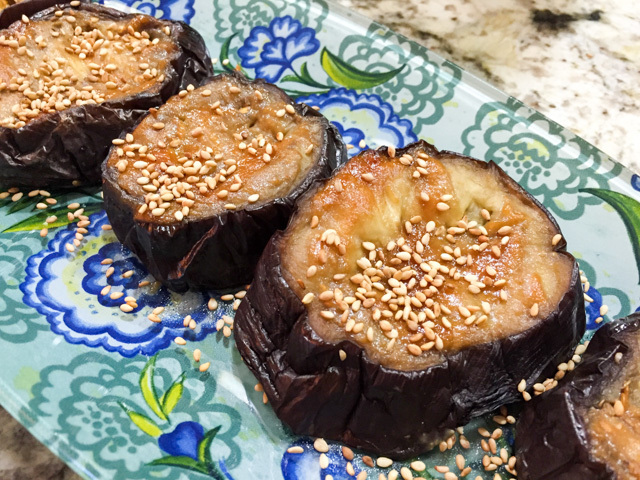 A work in progress… Eggplant cooked sous-vide and then finished with a miso-sesame glaze. I need to perfect the recipe, it has potential, but my first two attempts ended with eggplant a bit too mushy for my taste. However, the sous-vide definitely gets rid of any bitter taste without the need to salt the eggplant. 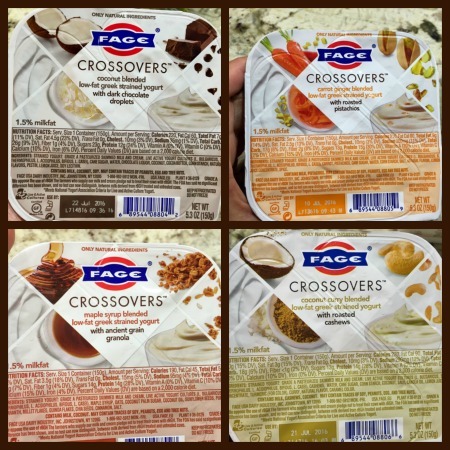 Different types of yogurt from Fage called Crossovers. They join unexpected flavors and are quite delicious. My favorite is the carrot-ginger with roasted pistachios. 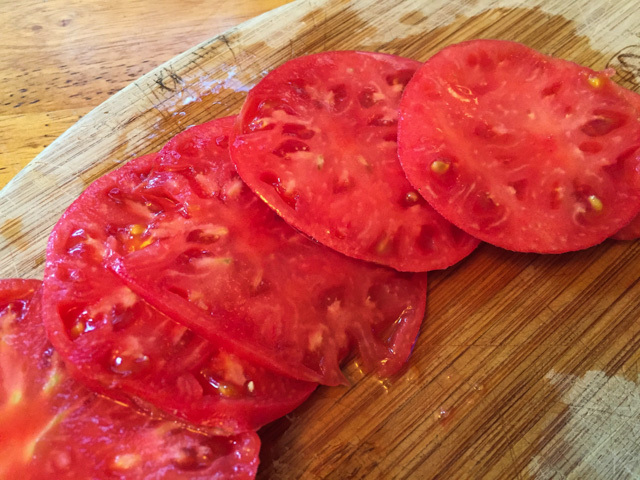 I think these ingredients would go very well together in a salad… Or once the weather cools… a warming soup. But, it goes without saying I am in no hurry to make soup. No hurry at all. 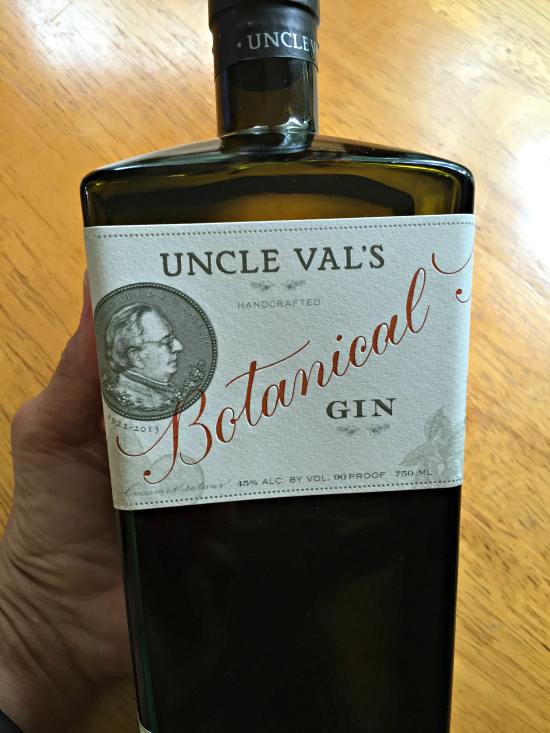 A bottle of Uncle Val’s Botanical Gin. The bartender at the golf club in our town made a Dry Martini for us using it and it is surprisingly floral. Totally different from any gin we’ve ever tried. Phil likes it more than I do, but if you are into mixed drinks, give it a try. I blame it on our friend Gary, who “twisted my arm” to get this book. He said I needed it. Well, it is pretty fantastic, although each recipe, to be made exactly like the master does it, would need ingredients to be special ordered. Just to give you one example, the simplest Vanilla macaron shell requires not one, not two, but three different vanilla beans… Oh, the humanity! Still, it’s a masterpiece of a book, and I’m glad I did not resist. Something that happens more times than I care to admit…. 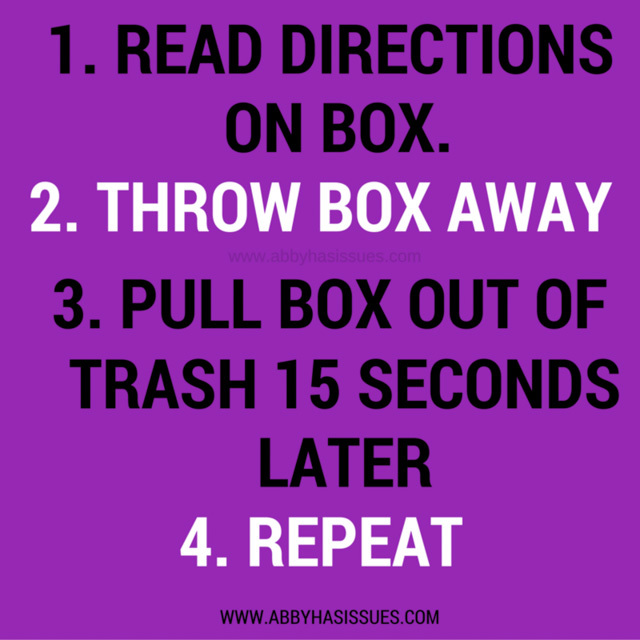 Reprinted with permission from Abby Has Issues… she does such great work! I follow her blog and Facebook page, and was thrilled when she gave me permission to share one of her cartoons. The story of my life, honest! And because life is not just about cooking, I shall talk lipstick! I don’t usually wear make-up, but I do love a little lipstick. 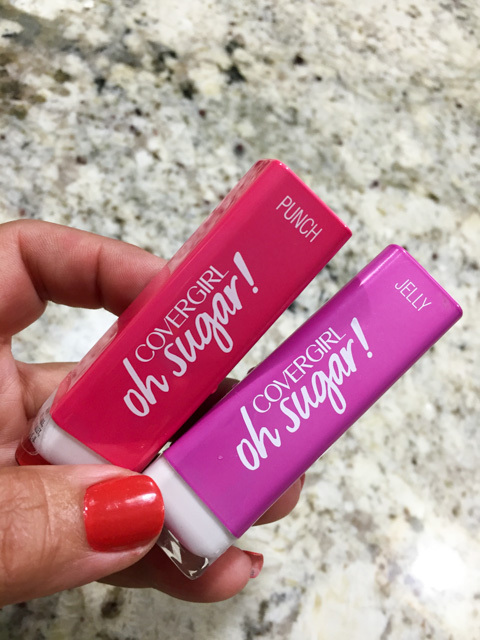 The Cover Girl’s Oh Sugar line is amazing: shiny, smooth, feels great on the lips, and on top of it, they are very affordable. Our grocery store carries every single color available. After grabbing some avocados, tomatoes, I stopped by Cover Girl and grabbed Jelly and Punch. Is that cool or what? 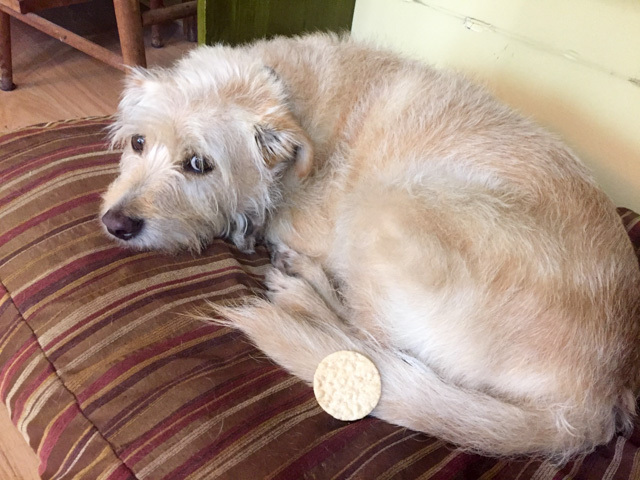 I hope you enjoyed this little tour around our kitchen… The pups are quite anxious to say hi to all of you, but first I want to share some bits of our past. Phil is a pretty good dog trainer. Back in Oklahoma when we had the sweetest dalmatian ever, Pits, he trained him to balance a treat on the nose. Pits would be static, waiting for the command “OK,” when he would flip the treat high up in the air and grab it. Chief never had the patience for it, he could maybe hold it for one second but that was it. Anyway, one day Phil is making Pits do his balancing trick, he placed the treat, held his hand up and kept saying… wait…. wait….. wait…. Just as he was going to give the OK command, Chief dashed running like a maniac, jumped up, grabbed the treat off of Pits nose, and ran away with it! It was THE funniest thing ever, and I’ve always regretted we could not catch it on video. It would have gone viral, I know that for a fact… Chief was really one of a kind…. We miss him. Hello! 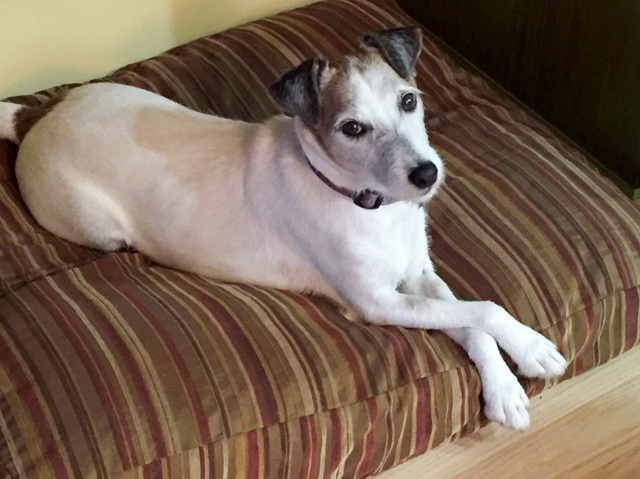 My name is Buck, and I believe this sofa is the best spot in the house, although you will not find me here when Dad is around… He starts waving his hands and acting all steamed up. Borderline irrational, if you ask me. Truth is, my poise and class are evident no matter where I am resting my handsome body. Hello! My name is Oscar and evidently I know how to make the best spot in the house even better. With my long legs, I am the only one who can see all the goodies Mom and Dad are enjoying for dinner. I thought I made it clear I do not care for rice crackers! Buck has his issues too. His favorite time to play in mud is right after getting a bath. Frustrating, to say the least. One of the reasons why his Mom’s hair gets more gray with each passing week can be seen in the short video below. 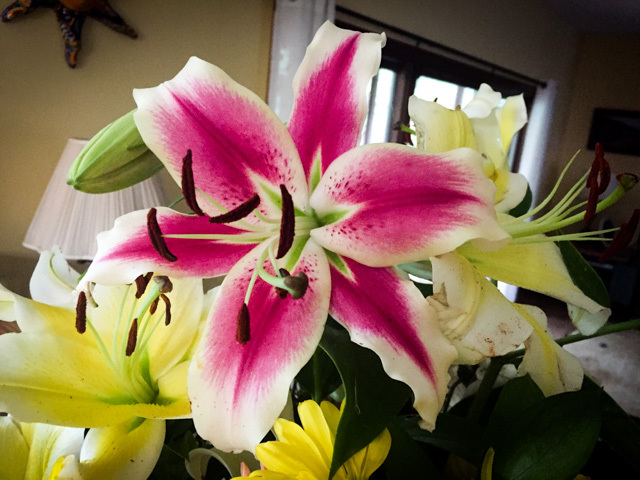 We hope you are enjoying this beautiful season! FIVE YEARS AGO: Headed to Brazil! 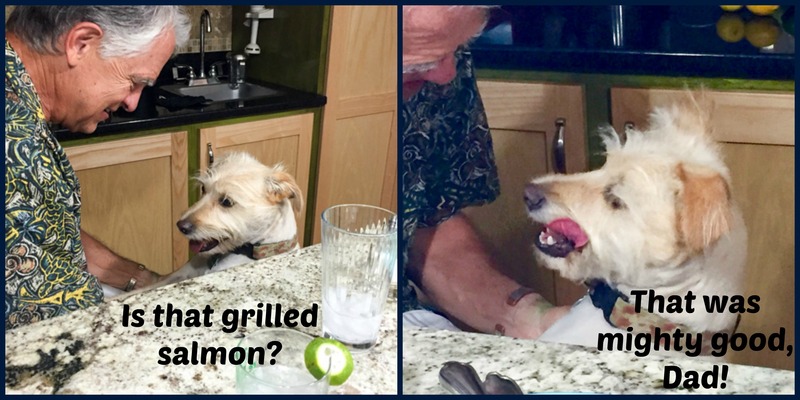 Oh sheesh, Sally – not again! You post this interesting, fabulous collection of goodies in your kitchen and then give us such a great set of photos and story of the boys, past and present, that no one will remember the rest 🙂 ! OK, if your kitchen scissors are gone, my genie has come to collect them! And soon you will wonder how you ever cooked without verjuice [yep, our spelling], which our Maggie Beer I believe was the first in the world [don’t hold me to it, but I have bought it for some 15 years!!] to produce . . . these days I buy it by the 2-litre cask, the 750 ml bottles empty too quickly. And the next step will be the vinocottos . . . . ask Mr Google to show you her Farm Shop and recipes and enjoy!! Just checked with Mr Google myself: if you go to maggiebeer.com.au and then her newsletter [not Foundation: she is doing fantastic work to better the menus for elderly Australians in nursing homes etc in that!] and then just ask for verjuice recipes [I don’t think you have to be a member: I got thru’ without putting my details in] – there are dozens. Actually if the newsletter can be sent outside the country: she is a very classy cook! And every letter has about 5-6 recipes which are simple but oh so different. I loved it too, but you know that already… glad I can add comments there without problems. I never noticed your site loading slowly, for me one site that is particularly troublesome is The Iron You, sometimes it even freezes on me. I can, and I absolutely share it!!!! I hate all that! Again indeed! I am very fond of Namiko Chen and her ‘Just one Cookbook’ [Japanese], but she has become both more commercial and is very popular: there I also cannot always get thru’. Elaine’s was fine until about a fortnight ago . . . shall investigate after Rio [sheesh: hope no problems!] and the Vuelta. I’ve done that many times too, believe me!! I’ve been the one crashing on the floor in the yoga studio many times!! The key for me was remembering to look forward and not down. Elaine, this tip to look forward was something I heard from Carly, my stepson’s wife, she is a yoga and Pilates instructor. I confess I disregarded it, and after you mentioned it, I tried to pay attention to it – I can tell it makes a difference… I am slightly optimistic…. will keep you posted! Sally, what a beautiful bowl, it is my style. Looking forward to the sourdough post! 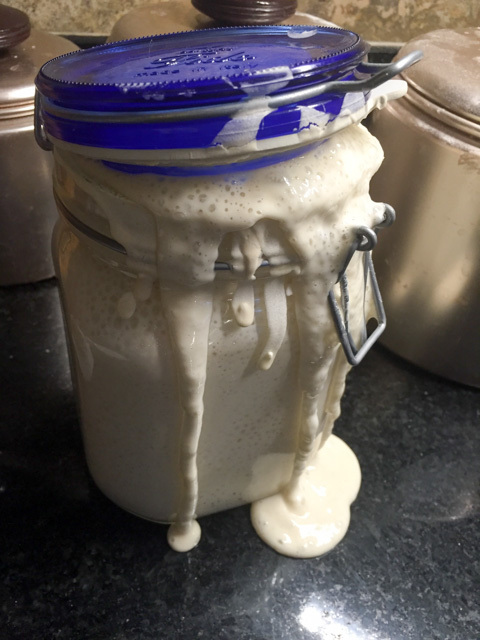 Just started my own sourdough starter … it’s almost been two weeks, and I can’t wait to make a loaf! It might take me a couple of weeks to blog on that one, but I have a lot of sourdough recipes here if you’d like to try, including another one with walnuts and cranberries that was pretty spectacular, the only difference is that in this new one I used semolina flour in the formula, no rye, just a bit of whole wheat. Sally, re: the “Botanical Gin” If you love floral gin, have you tried Hendricks? It is my absolute favorite. In addition to the usual gin botanicals, they tone down the juniper and add rose and cucumber! I adore rose flavor in drinks and desserts, so this one is very special to me. And don’t forget the Dolin Dry Vermouth! My house vermouth. It is so much better than N&P for my taste buds. oh, I will definitely search for Hendricks – rose and cucumber sounds like something I would love! Dolin Dry Vermouth, also noted for a surprise acquisition to my hubby. I hope I can find those in one of our liquor stores in town…. Such a fun post, loved it all. 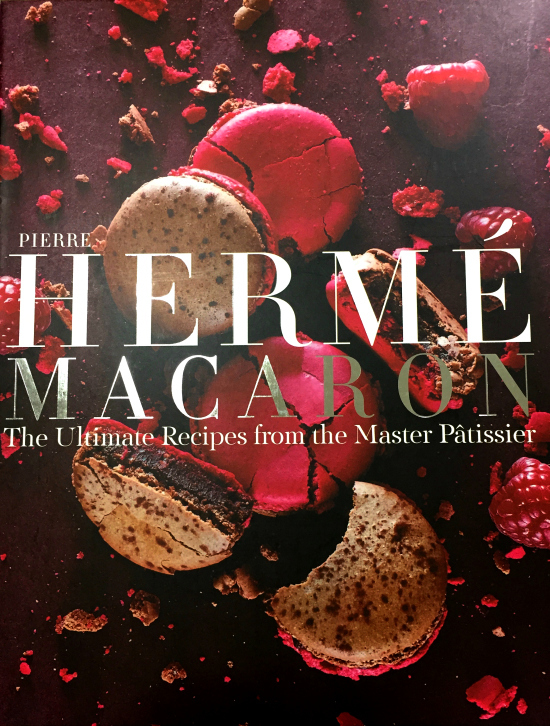 That book from Herme, the master looks decadently beautiful, I have not mastered the macaron. Maybe I should get that book but then finding all the ingredients might be a problem for the average cook. Thanks for sharing your beautiful dogs with us as well. I have to see this book, pistachio paste, never even heard of that. I guess it’s like pistahio butter??? I agree, such a fun post. Ilove anything to do with cooking, I live in France, and when in France you simply have to love food and cooking! 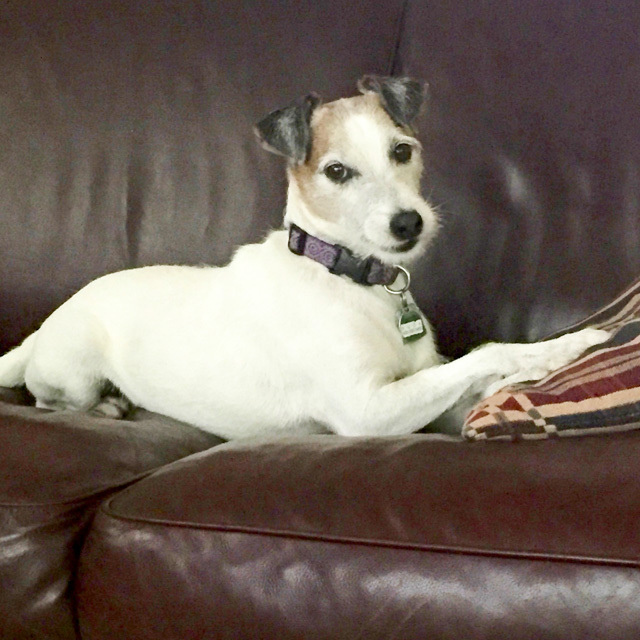 But I also love our two Jack Russell’s, one is Australian, all the way from Sydney and the other a flighty French girl, they make a great duo and they love to roll in mud, the smellier the better!! 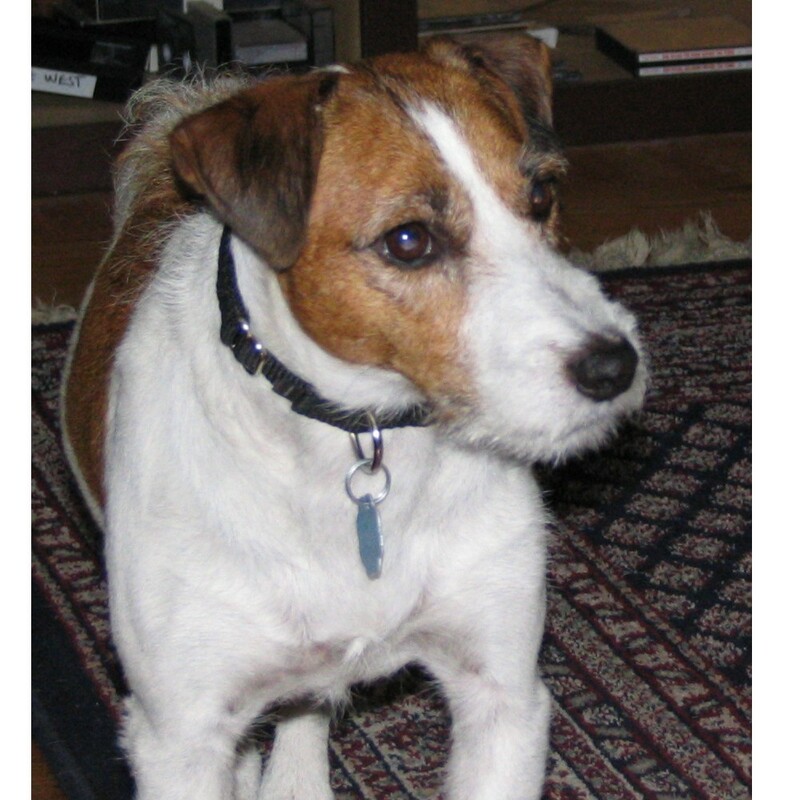 Cool that you have TWO Jack RUssell’s – I am sure your life is anything but monotonous! What fun — I feel like we’re old friends after reading this post! now you can see where I got the inspiration for your whipped yogurt variation? See? All connected! Gin! Now you’re talking. Another big fan of Hendricks here. However, the recent price increase here was astronomical. We just had a conversation about switching to a Botanical”. 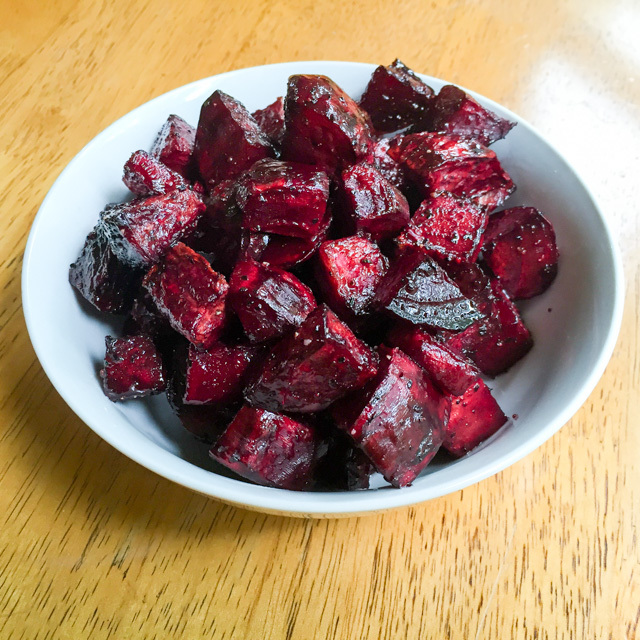 You must have peeled and cut the beets before roasting — they look fantastic. I think roasted beets are the best thing that ever happened to goat cheese. The Chief post choked me up, of course, given we experienced our respective losses almost on the same day. By the way, we just adopted a youngster from the city shelter — named her Blitzen. I think you will like Hendricks (the usual Hendricks martini garnish is a cucumber spear rather than olives or lemon, by the way) but unless you and Phil personally develop and patent artificial blood I don’t think you will want that level of recurring expense in your budget. Love this post! Gin, puppies, Not Ketchup (I have actually met Erika, jealous?) and sourdough. So cute. Not sure what verjus is, but Mr. Google and Mr. Amazon will be enticing me to purchase some I’m pretty sure.